The review addresses various aspects of the interaction between carbon nanotubes (CNTs) and microorganisms: the antimicrobial effects of single-walled, multiwalled, functionalized, and nonfunctionalized CNTs; the mechanism of action of these nanomaterials at the single-cell level; and their effects on soil and aquatic microorganisms. Among the mechanisms of action of CNTs on the microbial cell, one should note direct contact, which leads to disruption of the cell wall and cytoplasmic membrane, changes in membrane fluidity, oxidative stress, enzyme inhibition, and reduced transcription of several key genes. It has been shown that the antimicrobial effect of CNTs strongly depends on their diameter, length, aggregation degree, concentration, surface functionalization, degree of purification, and time and intensity of contact. The possibilities of the CNT biodegradation by microorganisms have been studied. It has been shown that the introduction of nanotubes into soils results in changes in the abundances of bacteria of certain taxonomic groups involved in biogeochemical cycles of carbon and nitrogen. This may adversely affect the cycling of these elements in the nature. 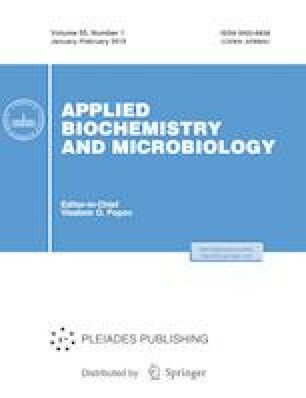 The review also focuses on recent trends in the development of microbial fuel cells, biosensor technologies, bioremediation, and wastewater treatment in which CNTs display their unique electron-conducting and adsorption properties and serve as a bridge for an understanding of the beneficial aspects of microorganisms. The work was carried out within the framework of the state task, state registration number of topic no. 01201353249. The authors declare that they have no conflict of interest. This article does not contain any studies involving animals or human participants performed by any of the authors.